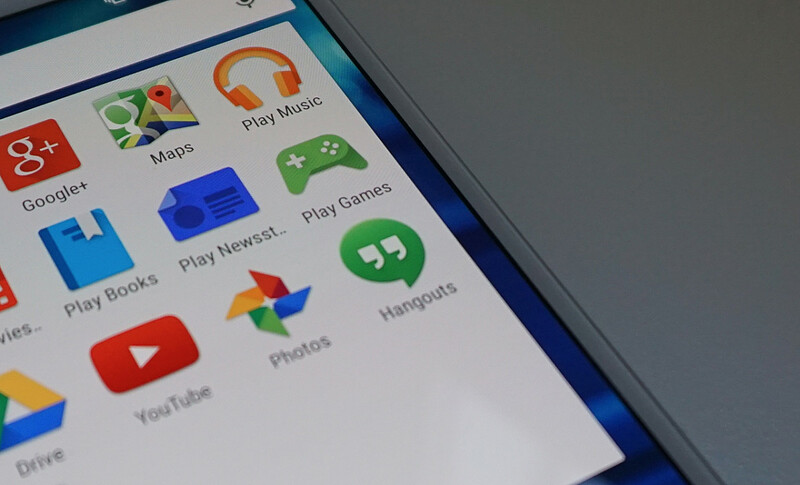 Google Hangouts for Android may soon see an update that offers interface improvements and revamped features. The crew at Android Police got hold of an early version of the updated app, which may not be its final version. The most glaring change is the app now adopts much more of the Material Design language Google is pushing, with the floating ‘new conversation’ button towards the bottom right of the screen. 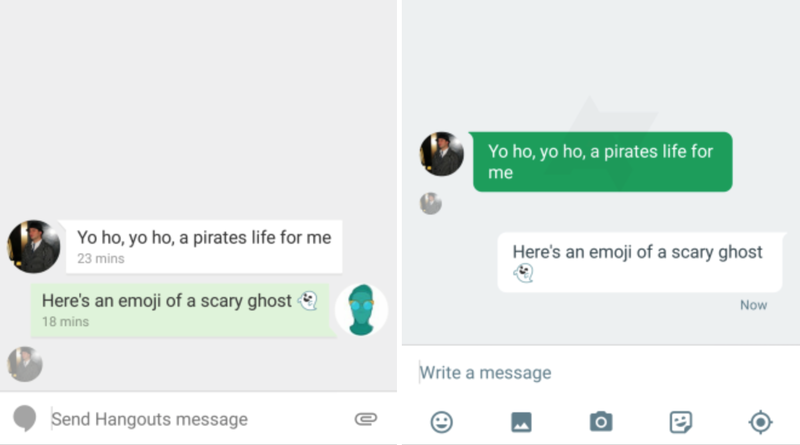 In a chat screen, Hangouts now looks a lot more like iMessage with its floating, rounded conversation bubbles. A new menu bar along the bottom of the message entry field replaces the paperclip icon, and allows for quick addition of pictures, emoji or a location to your messages. Your avatar no longer shows up in the chat window, and the color scheme has been reversed; your comments are in white, while incoming messages are in green. Sadly, the tablet version of Hangouts still doesn’t look special. It’s basically a blown-up version of the original in this early look at Hangouts 4.0 — something we hope changes ahead of release, whenever that may be.